"VeraCrypt - Data security is essential." Veracypt is one of the best open source solutions for data encryption on the market. It gives us a few, the ability to encrypt not only selected files or partitions, but also entire operating systems (so called Full Disk Encryption) and mobile devices. We can also choose an encryption algorithm for our data. Compatibility with other systems is worth mentioning. I do not like the little intuitive design and difficult access to some options another disadvantage of this solution is the lack of possibility to open containers on Android/IOS mobile devices. If you want to take care of the data on your device, I recommend that you start using veracrypt, it has an advantage over the competition thanks to its operation on many platforms. Veracrypt protects against unauthorized access to data, e. g. as a result of theft or when you left the equipment unattended in a hotel room, going down for breakfast (so-called Evil Maid attack). One of disadvantages is that Veracrypt have very old design. If u want to get nice and transparent you should not choose that application. Access to many options in VeraCrypt is difficult. And it is not possible to open containers on mobile devices. If data security is important to you, you should start using veracrypt, because it takes time to install, and we can gain a lot from it. By encrypting the drives using a veracript, I can protect my data against unauthorized access. And I can encrypt databases on portable drives. VeraCrypt is an open-source solution that allows me to encrypt drives and mobile devices using secure algorithms (AES / Camellia/ Kuznyechik / Serpent / Twofish. Another advantage is that the VC is compatible with (Windows /Linux / OS X). It is also worth mentioning the possibility of creating encrypted containers in which we can store files important to us and move them using external drives or a cloud. - While I have an encrypted system disk, the boot time of the computer is prolonged. - I don't like the design of the program. If you care about the security of your data and you are a person who travels a lot, you should consider data encryption with your equipment. By encrypting the drive, I can securely transfer customer data to my drive without worrying about unauthorized access to the hardware. Veracrypt, as an open source program, is free of charge. Thanks to it, we can securely encrypt our data on stationary and portable drives. It is supported by the main platforms and mobile devices, it is also worth mentioning the possibility of choosing the encryption algorithm of our data. I don't like in this program no possibility to open containers on mobile devices IOS/Android. The design of the program is poor and unattractive. In addition, Veracrypt works poorly with SSDs. It can be used without restrictions. It is good for anyone who needs additional protection of their data. It is in a continuous development phase so that our security is increased by the possibility of updating the program. Veracrypt very well helps to protect our data on drives and on pendrives. Frequency of data theft thanks to them is reduced several times. "VeraCrypt Protects Our Data And Our Wallets!" After a Ransomware attack we were looking to protect our data. We looked into VeraCrypt and were impressed. It's encryption is very good. Many tools we've looked at had good encryption but not on the level of effectiveness as VeraCrypt. Configuring VeraCrypt was a nightmare. It took forever to figure things out with multiple guides and wiki's up. Eventually we got it, but there's a definite learning curve. Considering the protection you're getting it's worth it but I would like if it was easier to install and manage. Plan out implementation ahead of time, or hire a third party to implement as it's not for beginners. Our machines see a lot of sensitive data (film screeners, NDA's, contracts, etc) and Veracrypt protects them from infection and hacking. Exposure of this data to a malicious third party could spell disaster for us. Glad that we have it! 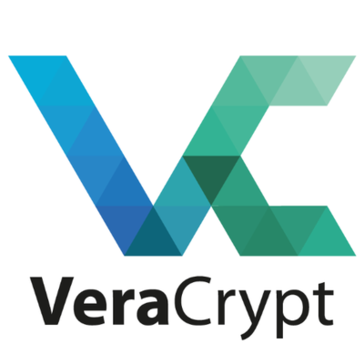 VeraCrypt is a program that enables encryption of discs, as well as creating secure containers Veracrytpt allows you to safely store files by using strong algorithms to encrypt our files. The main advantage of VeraCrypt is the fact that this solution is available completely free of charge for the owners of the most popular platforms available on the market. VeraCrypt also allows us to encrypt the system partition, so that we can increase the level of security of our hardware, which may become necessary when we store on our computer, sensitive customer data and very much travel with the hardware. One of the disadvantages of VeraCrypt is the fact that after encrypting the disk, the loading time of the system increases significantly. If you are looking for a solution that will allow you to encrypt your data, you should consider choosing VeraCrypt. By using VeraCrypt I can encrypt customer data, as well as projects that may be exposed when visiting other countries. Veracrypt is based off of the discontinued truecrypt project, and will serve to resolve physical security concerns businesses may have. It's audited by third parties & built on an established project, with plenty of advanced features & encryption options for more tech savy users. Veracrypt isn't always the easiest option to integrate into hardware, and many businesses (in my opinion) will be better served by enterprise solutions similar to microsoft bitlocker. I recommend using Veracrypt if you do not have an OS-integrated solution like microsoft bitlocker or other hardware two factor authentication options & need to encrypt your entire system for security reasons. Open source fans should definitely check it out. "Deep versatile protection for your digital assets." IHow a versatile tool it is to protect your digital assets, it allows me to encrypt digital files in a variety of ways. I can create encrypt container which I can move between supports or encrypt full disks. I appreciate it is open source and free to use. And the fact it is under active development. If you forget your password or corrupt your file key you lose access to your files. But otherwise would be a security risk. If you need to encrypt your files VeraCrypt is a very apt tool, it will allow you to protect your digital assets using the latest encryption technology. It is a software under active development. I recommend you to read the user's guide to see how it works and how to take advantage of this fantastic tool. I protect full drives containing the digital assets of my business, such as the original files of media and artwork I created or confidential projects and documentation. "Best on-the-fly encryption I've seen"
It's the real deal and has full functionality in an open-source product, so any problems can and are fixed as soon as they appear. From encryption of a full operating system, to the ability to create a second, hidden operating system that is untraceable. Same thing for creating an encrypted volume that can optionally contain a hidden volume that is not detectable. It even allows choosing the combination of hash algorithms, along with the ability to use security tokens and smart cards. Unfortunately it is not available on mobile platforms like Android and iOS, at least for encrypted volumes. That limits the software to desktop use on Windows, Linux and MAC. It is a great product. We have not had ANY problems with it in all the years we used it (as TrueCrypt before it became Veracrypt). So it's a low risk, almost no learning curve, high results software. We secure either customer NDA (non disclosure agreement) development environments, as well as private customer data in individual encrypted either full operating system virtual machines or just data volumes to reduce the risk of the information being hacked and reduce liability and risk. We have not had the need to create hidden partitions or operating systems, but one customer is considering it because of the new laws in different countries on inspection of electronic device content could potentially reveal non-disposable information. "Must Have Essential Data Security for Windows"
If you use Windows in your home or business environment and want to protect your crucial data including business digital assets or personal files, then VeraCrypt is a Must Have install on all your computers. Installation is very easy and you can setup a virtual disk drive to store all your important files. The virtual drive itself can be password protected with strong 256 or 512 bit encryption. If you desire, you can also encrypt your entire windows C Drive. We've mandated all business files be stored only on VeraCrypt encrypted virtual drives so we dont have to worry about losing laptops while traveling. Veracrypt offers a somewhat easy and convenient means for encrypting data. Veracrypt offers a very wide array of features, far more than one would expect in a completely free program such as this. The process for encrypting data, and especially for encrypting flash drives, is very unintuitive. Once you figure out how to do it, the process is simple, but it's far from immediately obvious. In fact, it means going through dozens of menu items trying to find an option to do the one thing Veracrypt was meant to do: encrypt things. Creating an encrypted flash drive, particularly one that can be plugged into any computer and decrypted without having to install Veracrypt on it first, is a real puzzle that I spent a couple hours figuring out (I am an IT professional with 10+ years experience). These features could be easy processes performed at the click of a single button, and yet for some reason they're not; they're buried in menus, and some - such as making an encrypted portable flash drive - are actually split into multiple processes accessible through different menus that need to be completed in a certain order. Functionally, everything is there, but design-wise, there is *a lot* to be desired. If you don't need multiplatform support, and especially if you intend to encrypt files to be decrypted by other users, I would strongly recommend Bitlocker or a number of other free, easier to use encryption utilities. I was using Veracrypt to create multiplatform encrypted flash drives. Unfortunately, the process was so cumbersome that I needed to switch to an alternative software. "Hands Down The Best Encryption Software There Is"
My favorite feature of VeraCrypt is the ability to have two encrypted volumes with different passwords. Being able to store only a portion of important data on the standard volume and the rest on the hidden volume is invaluable. Use it! It is amazing. The ability to secure data in a way that is absolutely not-accessible to anyone without the properly password. "Fast, Easy and Secure Encryption "
* We monitor all VeraCrypt reviews to prevent fraudulent reviews and keep review quality high. We do not post reviews by company employees or direct competitors. Validated reviews require the user to submit a screenshot of the product containing their user ID, in order to verify a user is an actual user of the product. Hi there! Are you looking to implement a solution like VeraCrypt?